At Loyola College, we are committed to provide a broad range of opportunities that allows our students to develop lifelong connections with their learning. We foster the development of the whole person and encourage our students to achieve their full potential. We are mindful that while the transition from Primary school to Secondary school is exciting, it can also be challenging for many young students. We offer a supportive Transition program through our base learning groups, which is further enhanced through our strong, vertical pastoral system. Students are encouraged to pursue their interests but also to be open to new experiences. 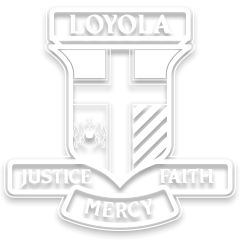 It is also important that students are actively involved and take personal responsibility for their learning throughout their time at Loyola College. The Academic Companion program offered by the College, in which a teacher is assigned to ‘walk with’ each student throughout their six-year journey, is designed to promote this process. We offer a broad and extensive range of VCE (Victorian Certificate of Education) subjects that allows our Year 11 and 12 students to access their individual pathways which includes further tertiary studies, apprenticeships or work. We also offer a range of units in VET (Vocational Education and Training) and VCAL (Victorian Certificate of Applied Learning) for those senior students who are interested in pursuing a more practical approach in their final years of secondary schooling. Download the Senior Programs Handbook 2019. Loyola College places a strong emphasis on literacy and numeracy at Years 7 to 9 but also introduces a range of subject areas that engages our students in developing their creative and design skills through the broad offerings in our Visual Arts, Performing Arts and Design and Technology subjects. Year 8 students also participate in an Outdoor Education camp, which is connected to the Humanities and Health and Physical Education curriculum. Students at Year 10 continue to develop their skills and knowledge through the core offerings of English, Mathematics and Religious Education, but they also have the opportunity of choosing their elective subjects based on exploring their interests and passions. Year 10 students study four core subjects and they select another six semester units from a range of Science, Humanities, Visual Arts, Performing Arts, Technology and Health & Physical Education units. Year 10 students may also apply to study VCE units. Download the Year 9 Handbook 2019. Download the Year 8 Handbook 2019. Download the Year 7 Handbook 2019.